40 years and counting! 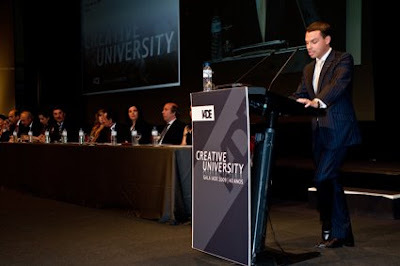 The IADE Creative University completed 40 years of operations last May and TemaHome's CEO Stephan Morais was one of the keynote speaker for the gala ceremony that took place at the Lisbon Congress Center. IADE is Portugals best design and marketing university and it is notoriously known for producing some of the countries design "top guns" that spread the image of Lusitania design worldwide. We are very proud to be associated with a higher learning institution that, without question, is a fundamental element in the promotion of the Portuguese design. Happy 40th birthday from all of us at the TemaHome family.